After nearly two full years of inciting fear of illegal aliens in many 2010 races, now that the Republicans are in power, they have decided to cut funding for border security. 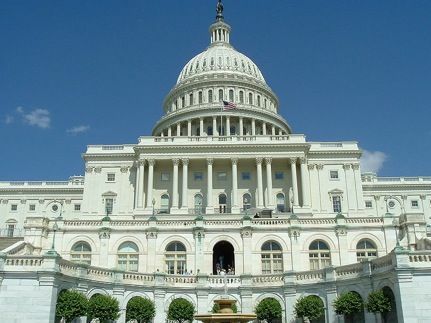 Preparing for the fight next week in Congress over federal spending legislation, Democratic leaders in the Senate said they will not support a bill with $60 billion in budget cuts that passed the Republican-led House on Saturday because it reduces funding for border security. “This magnitude of reduction is simply dangerous,” wrote Mr. Schumer, who is chairman of the Senate judiciary subcommittee on immigration. Also signing were Jeff Bingaman of New Mexico and Jon Tester of Montana. The GOP’s public excuse is that they see no reason to give the president money on border security since it would just be wasted. “Even with all the money in the world, the administration would not succeed in securing the border because they are not serious about it,” [Texas Rep. Lamar] Smith said. But is that the real reason, or just yet another excuse from a party determined to obstruct every bit of the Obama agenda, even the parts that actually compliment their own? Especially since, for the Republicans, who spent much of the 2010 election season drumming up paranoia and invoking xenophobic backlash over the idea that “illegals” were sneaking into the country, taking jobs and beheading people, there’s a strong possibility the party will bring that tactic back for 2012. The Republicans are letting Putin take over US national security and elections. Nice job, boys. I'm glad they stopped wasting money on that, but it's because they already gave all our tax money to the greedy rich. Republicans are hypocrites about EVERYTHING!!! LOL, this is too funny, the Dems pretending they are worried about Immigration? Do they have no shame whatsoever?